Been sometime since I did this, last one was in December. This segment in my blog gives me a chance to talk my feels on things that I have become obsessed with and hoping people discover something new. Let’s get our NERD ON !!! As apart of my 300 followers special I have to watch five anime chosen by my followers one of those was Yona Of The Dawn. I have only completed 2/5 currently which I am working on but for those who have read my review on it, you know I fully enjoyed this historical, shoujo adventure. Yona the main character just blew me away after the realisation nothing would be the same for her, as watching her father being killed in front of her eyes. It’s a stunning series full of such raw emotion of a princess’s desire to become stronger and find her grounding to reclaim her kingdom. The praise this 2014 series has been given can fully confirm deserves it all. If you have not seen this how and in need of some adventure you need to give this a shot everybody. seriously. Ugh my manga reading over the last month has been slowly improving currently am reading five on going titles. 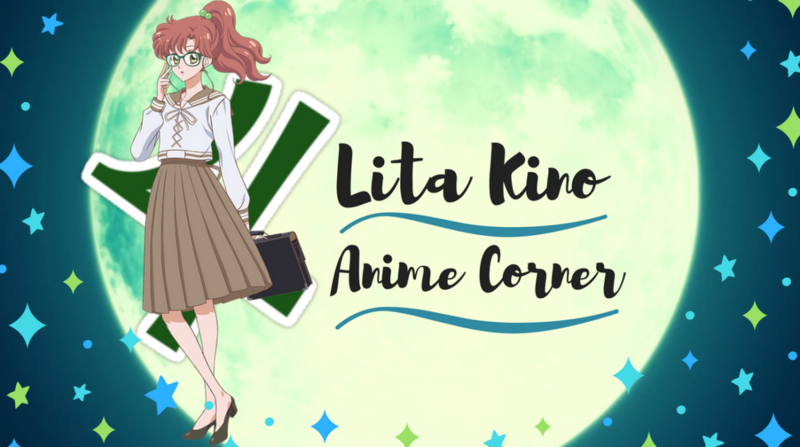 One new I started was a series Fellow friend AnimeReviewerGirl really likes Full Moon Wo Sagashite about Mitsuki who has throat cancer which will kill her. She dreams of being a singer she meets gods of death Takuto and Meroko, feeling sorry for her they grant her wish and transform into a sixteen year old. I am only at the beginning of the story of Mitsuki meeting the gods of death, so far I am really into the the story, art style is cute. Mitsuki there is nothing to not love about her so far, twelve year old transformed into sixteen take some getting use to. As she is twelve really, the tale of the story is sad but I’m excited to see the out come if she will become a singer, her feelings will reach someone she holds dear. It’s a cute as a button manga so far. Second Opening “Yona Of The Dawn” sung by Cyntia has been my obsession this month. The first few seconds of the song get you riled up, her big voice just comes bursting up and the high electric beat really gets you into it. It’s been a while since I fell in love with an opening like this since Iron Blooded Orphans but made a great impact. This was back in beginning of January I got these from a Madman sale. I could only get a minimum of three things but the main thing I wanted was the entire set of Gundam Wing. This was the first gundam I ever saw back in my childhood days on toonami. It was the reason I got into the whole Mecha genre, it was a steal for $15 for the whole series. I cannot wait to watch it this month or next, relive why I love this series. So I can’t play H I bought because it was cheap and a series that makes me laugh till I drop. Gundam 00 the movie I got because I needed to get free shipping on my order but it is a series I want to watch. It’s just gone crunchyroll so perfect timing really. If you follow me on Instagram you’ll know I bought a this pokemon hat. Which I am in love with having a mixture of old and new pokemon was cool and just love how colourful it is. I never thought how a snap back hat would suit me honestly, doesn’t look too bad. Hope you guys are enjoying this favourites segment still. For march I promise it will be more interesting one, and I don’t fall behind on this like I did. i remember watching Gundam Wing as a teenager, funny story of how I got my individual dvd collection, walked into one of my favorite second hand cd stores years and years ago and they had just put the whole set out and I managed to haggle to whole collection down to 40 bucks because at the time I was a regular customer! I was thinking about rereading Full Moon recently. Interesting to see your final thoughts when you finish it! Good stuff, I’m probably gonna watch: “So I can’t play H” myself soon.